It is well known and accepted that Wicca and/or witchcraft have always been considered nature-oriented. From religious beliefs to practices to rituals, nature is always the central focus of the vast majority of Wicca practices. But, what does this mean, precisely? In a nutshell, it refers to the fact that Wiccans and witches cycle their practices in synch with the seasons, that they respect life in all of its varied forms. We know that the Wiccan linking of magical practices reflects the influence of the natural Earth as well as Earth-based deities. This is most likely due to the fact that modern Wicca and witchcraft are echoes and a continuation of ancient pagan faiths and practices. Those ancient pagan belief systems were in tune with (almost without exception) the Earth, its elements, and its seasons. Indeed, the pagans, Wiccans and witches that passed on the tradition to the modern day lived by the grace of the Earth, depended on bountiful harvests and the riches of the Earth for their survival. These integral ties to the Earth were the very foundation of the success and survival of early humans, regardless of their religious or spiritual beliefs. The Green Man is often perceived as the Magickal personification of the spirit of the land. The image of the Green Man is often expressed artistically, through painting, sculptures, or other mediums. The Green Man is often found displayed in gardens or other outdoor areas, and depending on the personal beliefs of the gardener regarding the Green Man, he will either be very prominently displayed or very discretely hidden, discernable to only the most attentive of visitors. This sort of imagery was extremely widespread, and depictions of a man made of vegetation or leaves stretches back in the dark history of Europe. The image of the ‘misericorde’, the ‘mercy’ of the smiling green man worked into the walls and pews of medieval churches is well-known. The Green Man is far from universally identical; however, he is often conveyed very similarly. 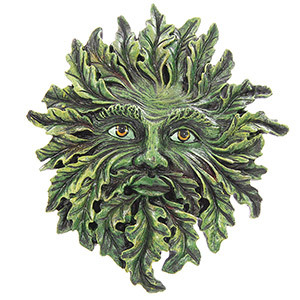 The most common appearance that the Green Man displays is that his features are naturally occurring features of some kind of greenery or foliage. The Bloodsucker Head, in which the Green Man sprouts vegetation from all facial orifices. The Foliate Head, in which the Green Man’s face/head is completely covered by green leaves. The Disgorging Head, in which the Green Man appears to be spewing vegetation from his mouth. Regardless of the specifics of The Green Man’s form, he is considered universally to be a completely benevolent presence, if not specifically beneficial. In many neo-pagan and Wiccan circles, the Green Man is a more modern take on the Horned God, one that was created in the Middle Ages and who managed to survive in the Christian atmosphere. 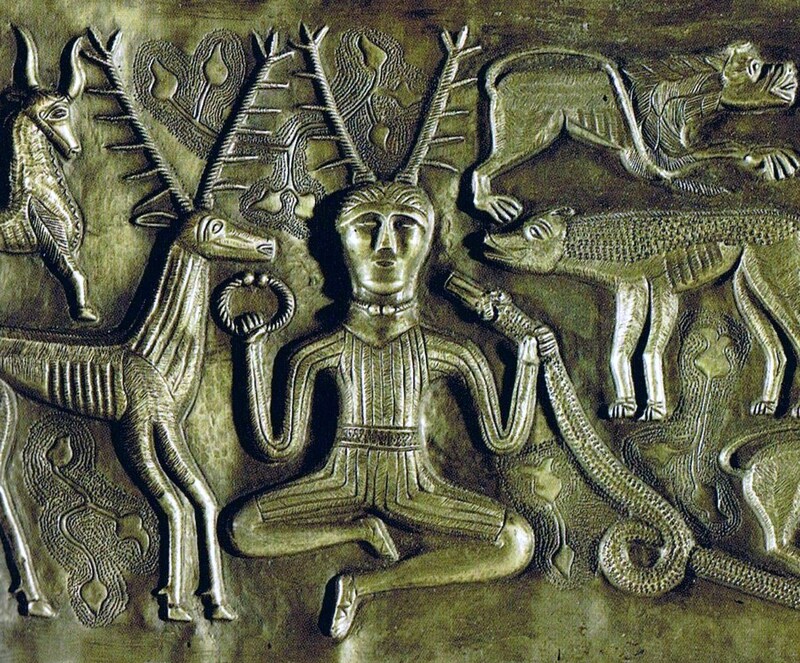 It is an image which is itself a modern interpretation of ancient gods such as the famed Pan and Cernunnos. Regardless of your personal interpretation of the Green Man, having him around can bring you nothing but good vibes, especially if you find yourself with a sudden and inexplicable green thumb. His gaze and his influence has shone down over the countryside for centuries, and continues to do so to this day. The influence of the still shines in the art and the presentation style of Wiccan media today. This post was very interesting!